Mobile Nations Weekly: Moto X, Windows 10, Teslas, and more! Welcome to Mobile Nations Weekly: your window into the week in mobile tech and life. You can expect this to hit every week: the latest and greatest from the past week in technology and mobile life from across Android Central, Connectedly, CrackBerry, iMore, Windows Central, and more! If there was any week to get this started, this week was the one it — we've got major releases of hardware and software from multiple manufacturers. All of this is setting the stage for the coming months (and in some cases years) in mobile technology, so it's an exciting time for fans of smartphones, tablets, and all manner of gadgets. The big news rocks are unquestionably the launches of the OnePlus 2 and new Moto X and Moto G phones on the Android side, and the launch of Microsoft's latest version of their flagship operating system: Windows 10. And though we've still several weeks from the anticipated launches of iOS 9 for iPhones and iPads and OS X El Capitan for Macs, iMore has put together comprehensive previews of both. And our insane and excited KM is even more insane and excited to have his hands on an epic long-term review gadget: a Tesla Model S.
It's been an exciting week, so let's dive right in! Android Central — Moto, OnePlus, and something called "Stagefright"
It was a slow week at Android Central, with the launch of just four major devices — and more on the horizon — and a couple of major security stories. First up we've got the announcement of the new OnePlus 2, which of brings decent specs (and a couple omissions) at a fairly decent price. But if you haven't already gotten on the waiting list, there are more than a million people ahead of you. For more, see our OnePlus 2 preview. Then there was Motorola, which rolled out the new Moto X Style (which will be known as the Pure Edition in the U.S.), and Moto X Play (which won't actually be coming to the U.S. anytime soon). Plus there's the excellent 2015 edition of the Moto G. Be sure to check out our hands-on with the new Moto X and the new Moto G.
And then there's the scary-sounding "Stagefright" exploit that's present in hundreds of millions of Android devices. It's bad, indeed. But we tell you if you really need to stay up nights worrying. What you really need to know about the "Stagefright" exploit. 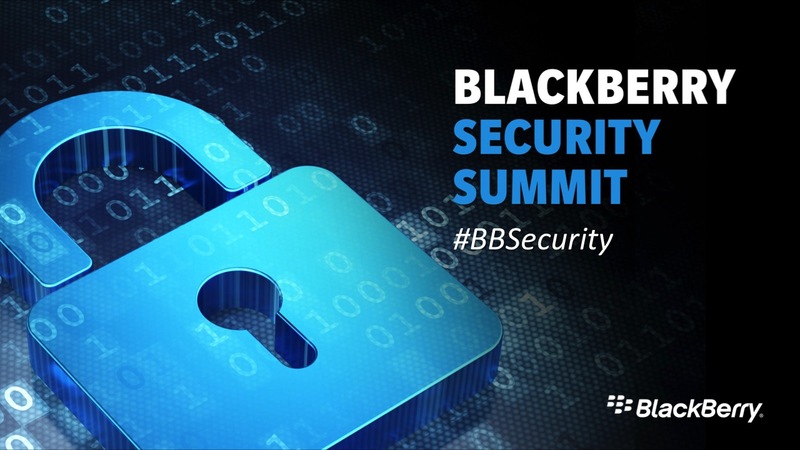 With BlackBerry having wrapped up their annual Blackberry Security Summit in New York last week, this week was a little slower paced as far as it goes for news coming out of Waterloo but when summed up, there was plenty to discuss on the blogs and in the CrackBerry Forums. First up, BlackBerry got some love from Gartner who named WatchDox by BlackBerry a 'visionary' in Enterprise File Synchronization and Sharing. Then, BlackBerry kicked off their Work Creative campaign featuring rock legend Duff McKagan, and celebrations began for BBM's 10th Anniversary with BlackBerry offering insights into the launch of the messaging app back in 2005 and offering customers a free sticker pack as part of the celebrations. Other topics of interest for this week, T-Mobile reduced pricing on the BlackBerry Classic and a new, unannounced variation of the BlackBerry Passport better known as the 'Dallas' for now landed at the FCC. Apple Music is still the big news at iMore, and opinions are more sharply divided than ever. Traditionalists hate what it's done to their libraries but streamers love the freedom it's given them. We've gone full-on roundtable for Apple Music, one moth later, and compiled a metric ton of Apple Music help and troubleshooting for anyone and everyone who needs it. If Music ain't your thing, we've also got in your detailed iOS 9 first-look, OS X El Capitan preview and shared our thoughts on Apple Watch, 3 months later. And if you'd like to share yours—and get a enter to win $500—be sure to enter our Apple watch survey! Windows Central — Windows 10! Windows 10! Windows 10! This week, Microsoft released their long-awaited Windows 10 OS to the mainstream public. The OS update is free for anyone running Windows 7 or Windows 8 and comes as an over-the-air upgrade. Being the largest Windows dedicated site on the webs we did up a massive 10,000-word review with no less than seven videos. In case you are thinking about upgrading or just seeing what is new you can check that out. Just make sure to grab a cup of coffee first! In case you are waiting for that update, we wrote up some instructions on how to force it on your PC. This update in waves is because Microsoft is trying to not destroy the internets through a staged rollout. However, hey, if you cut the line, we will not say anything. You can join the other 14+ million users who have upgraded to Windows 10 in just the first day. Once you are the new OS, check out our extensive collection of tips, tricks and help articles. Keep checking back as we are constantly adding more each day. For some fun, we are selling some limited-edition Windows 10 Ninjacat tee-shirts. Some of the proceeds we'll be donating to a charity too. Why a Ninjacat? It is a long story, but you can start here. We are also giving away a Lumia 1520 and Surface 3 in our Windows Central / Opera contest, so check that out too! Finally, we get a look at what could have been with McLaren, the canceled 2014 flagship Windows Phone. The device was to feature a cutting edge 3D Touch Nav system but alas it was not meant to be – find out why. Long time readers of our sites will know Kevin Michaluk. He founded CrackBerry and for the better part of the last decade was the world's foremost authority on BlackBerry. For the last few years his time and energy has largely been spent behind the scenes of Mobile Nations in the role of Chief Media Officer, but his love of making great content (he tends to have a lot of strong opinions about a lot of things) was too strong, so he's taking some time out each week to make fun gadget and tech videos under his new Danger Mouse-inspired moniker of World's Greatest Gadget Reviewer™ (be sure to hit play on a video to see the epic intro!). As always, Kevin's enthusiasm is infectious. For KM's first video he paid tribute to his BlackBerry roots with an unboxing and first look at the new blue BlackBerry Classic. The World's Greatest Tesla Review Series! KM recently took delivery of a new Tesla Model S P85D and is working on a long-term video review series. In his most recent video he took the Tesla to the drag strip to put INSANE MODE to the test before he upgrades to the just-announced and uber-ridiculous LUDICROUS mode which promises to get the car from 0 to 60mph in 2.8 seconds. Be sure to subscribe to KM's youtube channel so you never miss a video and you can follow @kevinmichaluk everywhere else for the behind the scenes and between the videos coverage: Twitter, Instagram, Google + and he's on Periscope too. This week on Kicked, Dan and Kim check out the GoFish Cam campaign - a device that mounts right on your fishing line and lets you capture HD video of your epic catch. GoFish Cam's developer Patrick also pops in with his a prototype of the GoFish Cam and things, well, they didn't go quite as planned. Plus we check out a swanky new messenger bag, a 3D photo scanner for your smartphone, a solar power charger, and a live-streaming wearable action camera. All of this and Dan's 'Hot or Not' ranking is revealed on this episode of Kicked Weekly. Connectedly — For Generation Connected! Those with keen eyes may have noticed some changes to Connectedly.com over the past week. We launched the site in January 2014 as Smartwatch Fans, then re-branded to Connectedly a few months later to give it a broader focus around the connected-gadgets space. We'll be honest though - the site has been a bit of a ghost town. A big part of the reason is that we elected to bring all of cool connected gadgets coverage to our established sites so we didn't have to make readers who love Android Central or iMore or CrackBerry or Windows Central leave for another site to get to it. We still love the brand though so we're doing the lean startup thing and pivoting with a new mission! Instead of just connected gadgets, you can think of the site as being for the Connected Generation. If you're a human on planet earth that values tech, then Connectedly's headlines are for you. The site's taking on a stronger product focus and we're curating the BEST content from all around the interwebs. There is just so much awesome and great stuff out there that we wanted you to have a single destination to check out to make sure you never miss a single thing — regardless of which posted it. We're in testing mode still and we'll keep tweaking things as we learn and improve, but bottom line is if you haven't been visiting Connectedly, now is the time to start!